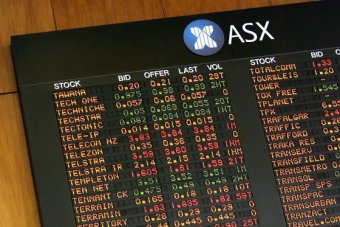 Concerns that the ASX supported broker research on Big Un and GetSwift could lead to the end of the ASX Research Scheme, that would be detrimental to the Australian economy in the long run. Getting rid of the ASX Research Scheme would be a mistake. Instead the scheme should be expanded to include all ASX listed companies with funding coming from a compulsory levy paid by all ASX companies. The scheme should be managed by an independent group. The ASX Corporate Governance Council would be perfect to take on this responsibility. It is important to understand the problem that the ASX Research Scheme is seeking to address. The ASX is in effect two markets. Institutional investors predominantly invest in ASX300 companies. These companies are mostly covered by broker research which is paid for by trading revenues. The deeper you go into the ASX the less broker coverage there is. The problem that small cap companies find is that they would love to attract institutional investors onto their registers, but there is chicken / egg problem that without research there is a lack of confidence to invest. The reason that this matters is that Australia’s superannuation system is rapidly outgrowing the ASX. In the next twenty years, for every dollar that goes into superannuation, more will be invested offshore. Australia’s superannuation system’s choice of fund rules have an impact on the way funds invest. Liquidity is important with each superannuation fund managing its own liquidity budget. Small cap ASX listed companies can be illiquid and must also compete with other illiquid investments such as infrastructure. For twenty years Australia’s superannuation system and the ASX were joined at the hip. Every dollar that went into super supported the growth of the ASX. With the superannuation system expected to grow from $2 trillion to $6 trillion, the problem is that there are far more liquid investments offshore than there are in the ASX. There is nothing wrong with that from an investment perspective. But there is a problem in terms of future growth of the Australian economy. One of the key problems is that as a publicly listed company the ASX itself no longer has the same public policy responsibilities. The ASX earns revenues from listing fees. As the CEO of ASX Dominic Stevens says in today’s AFR, the role of ASX is not to pick winners. But where the ASX puts its resources does impact on new listing opportunities. An example was that there was a time when the ASX was attracting a number of small cap miners operating in Mongolia. That wasn’t accidental as ASX was marketing its services directly in Mongolia. The ASX Research Scheme has been operational since July 2012 but still only sees 100 small-mid cap ASX-listed companies receive in depth research from brokers. This puts ASX in the invidious position of having to select who receives the research and who doesn’t. It would be far better if every ASX company was subject to broker research. Broker research should also be required to include ESG practices, which would help shine a light on the governance practices of companies such as Big UN. The ASX has an opportunity to do this voluntarily. But if it is unable to convince market participants then the Federal Government should step in. It is in the interests of the Australian economy that we have a robust functioning small cap market which can provide opportunities for superannuation funds to invest in. The week started hot in Melbourne. The temperature climbed to 38 degrees Celsius, supported by a northerly breeze that blew in from grasslands north of the state. The change came in late afternoon. The dark clouds on the horizon were black and ominous. If you live in Melbourne this kind of weather is a familiar story. How could a storm, that we all have come to expect, lead to the deaths of four people, with many more in intensive care units and thousands and thousands of people treated, some in hospitals, some in doctor’ surgeries for asthma. This is an area that our family has had some experience in. It was the reason that we left Sydney, after a summer of hospitalisations of our then two year old son. The technical explanation is that when there is a lot of pollen in the air, the storm leads the pollen to swell. When the storm sweeps in the pollen in the upper atmosphere is condensed. The electrical currents then split the pollens into miniscule particles. The pollen effectively becomes a thousand times more potent in minutes. In Sydney we would arrive in at the children’s ward of St George hospital and be one of the first there. By the end of the day the ward would be overflowing. Our health system does a brilliant job. They did a brilliant job in Melbourne this week. A code red was declared. Workers after long shifts stayed on duty. Off duty workers were called in. Every ambulance was put in service. Paramedics visited houses in their own cars. This was a truly heroic response and I have no doubt that many lives were saved as a result. In Melbourne, asthma storms are relatively rare. The last was six years ago. But with the way the weather is we can expect more. So what do we need to do? The first thing is that we need a health warning issued. It should be a little like the Total Fire Ban Warnings we grew up, you know, “today is a day of total fire ban in the State of Victoria, no fires in the open air….” I can literally hear the newsreader announcing it, it was repeated so many times growing up. But we knew it was serious. The second thing we need to do is prepare our doctors. There was one story of a doctor prescribing tablets, presumably thinking it was a common allergy. In this world of modern communications we need a system where every doctor’s surgery is issued with warnings that are regularly updated. Doctors should be required (and of course paid by the Government) to deliver bulk billing services, no matter if they are purely private practice, in times when it is likely that an asthma storm is on the way. Doctor’s surgeries should all have Ventolin and the ability to deliver to patients. This should be part of the responsibility of being a doctor in our national system. 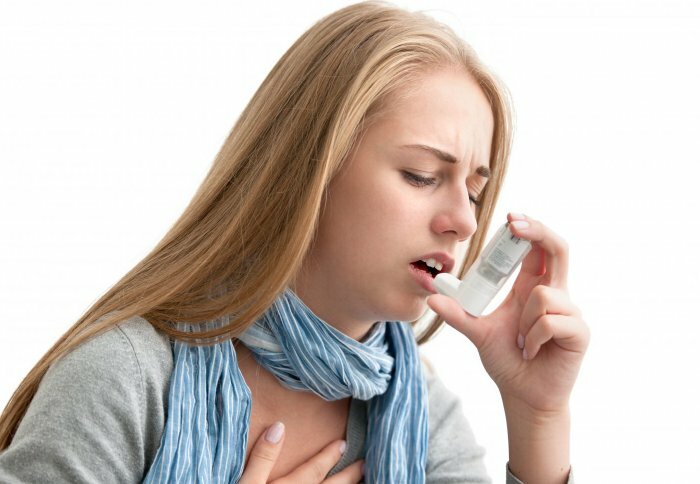 What we have to understand is that asthma storms are not just individual cases of people with asthma. They are the equivalent of natural disasters, and they should be treated like that. We have the systems and the knowledge to prevent this ever happening again. We owe it to our children to do so.